‎The branch membership has therefore voted overwhelmingly to accept the proposals. We have called these meetings to report back to Council members on the latest position in our negotiations regarding the terms and conditions proposals. We hope to have further details soon which we will share on our website on Friday, 29 January 2016. 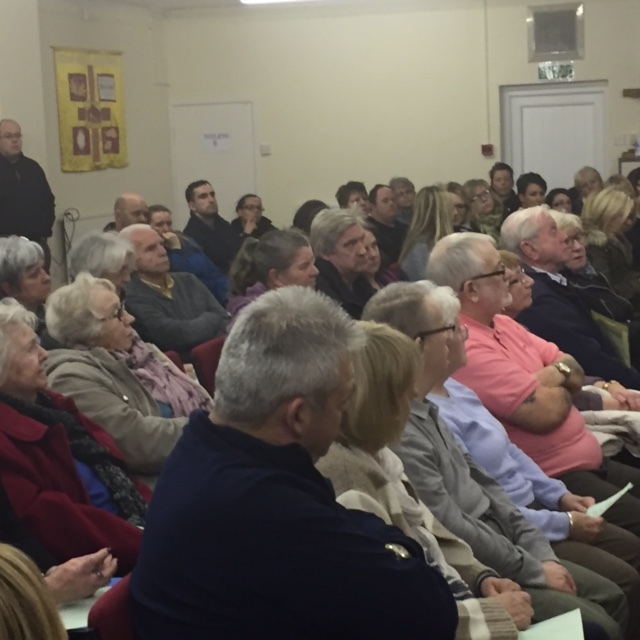 A public meeting organised by Wirral UNISON to stop the proposed closure of Girtrell Court was well-attended by more than 100 people last night (20 January 2016). None of Wirral's Labour or Liberal Democrat councillors attended the meeting. UNISON is gathering signatures with a petition to “Save Girtrell Court”. Ring the Branch Office to get paper copies for your family, friends and work colleagues to sign and/or sign the e-Petition on the Council website. 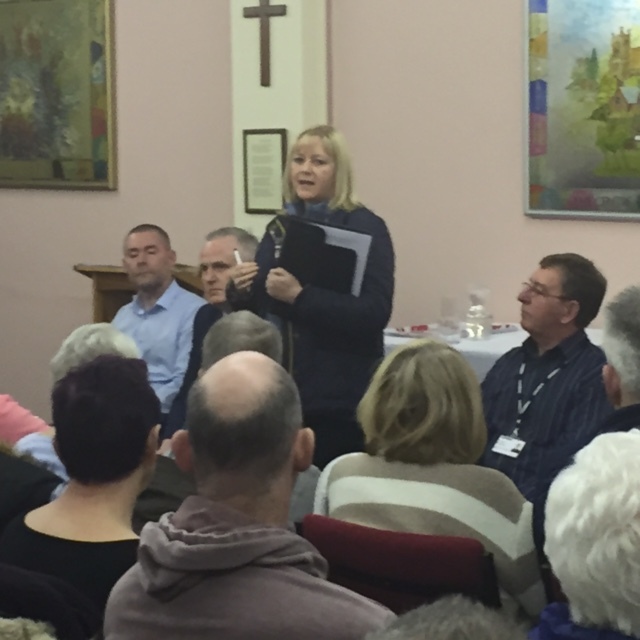 UNISON is also encouraging all affected to attend their local Constituency meetings where they can speak to their local MP and Ward Councillors. Consultation meetings are ongoing with management around terms and conditions budget options. The branch leadership IS STRIVING to obtain the best possible deal given the current predicament we find ourselves in. Once we have reached that point the intention is then to present this to members to make any final decision. We hope to be in a position to provide further information by the end of next week (29th January) and will look to hold meetings with members the week after. These member meetings will be to discuss any potential outcome. We would want these to be well attended, be honest, open and transparent. We would rule nothing in and certainly rule nothing out. We have always said that no decisions will be made without the support of the membership. We have vigorously defended the terms and conditions of our members during these meetings. We simply cannot allow some members to fall off the cliff, with between 15-20% net pay reductions if these changes are implemented. In some cases we have members that could lose a 1/3rd of their pay packet !! These people WILL have to put their houses up for sale, make no mistake about it. As well as staff suffering, day to day duties and the efficiency of services will also suffer with ANY changes to enhanced pay or the loss of essential car allowance. Any further unpaid leave WILL have a detrimental effect on our pensions, a detrimental effect that, unless members opt to buy it back, will compound losses year on year. This CANNOT happen. We have a severance multiplier in place that, although eroded over the years, gives some protection to staff and allows us to mitigate any compulsory redundancies with volunteers. We simply CANNOT give this up. We have not buried our heads in the sand; we all know these savage cuts have been imposed from a Conservative government hell bent on destroying the public sector. But most of our staff live on The Wirral, under a Labour-led authority, responsible to that said electorate. Elected members NEED to take this on board when making budget decisions. Thank you for allowing me the opportunity to address cabinet tonight on behalf of our members. Members for whom I am accountable too, just as you, yourselves, are accountable to the people of Wirral. Make no mistake, we find ourselves here once again, due to the horrific cuts imposed on us by the Conservative government. A Conservative government that is hell bent on shrinking the size of the state and eroding the public services provision in the country – most notable the northern authorities. A Conservative Government that, as we all know, will phase out the revenue support grant by 2020. But, and this is a big but, we are not a Conservative led authority. We have a Labour led administration. A Labour led administration that, once again, is attempting to attack the terms and conditions of its staff – with the threat that if not taken will lead to the loss of between 80-100 jobs!! .Staff who have shouldered more than their share of the cuts since 2010. Staff who see headlines on payoffs, consultancy charges and agency fees that they can only dream of. This as we allow expertise to walk out of the door that could well do these roles if paid correctly! Staff that STILL await the senior management review, put on hold until our new Chief Executive was in post, with, may I add, a significant pay rise ! The staff who have, in real terms had a pay cut of between 10-13% since 2010, without taken into account the 4 days unpaid leave, which in itself is ***** pay cut !! National insurance contributions will be going up for the majority of these staff, the staff that are in the pension scheme, by any average of 15% from April. Pay protection is in place for some and that finishes in May. People WILL fall off the cliff under a Labour led administration, with the real possibility of defaults and home losses. Any attack on enhancements, will have a significant effect on staff that provide a service at unsociable hours, but also have credit attached to their income, like mortgages, loans and other finance. These staff will also fall off the cliff. Services provided by those with essential car usage will grind to a halt as they will seek alternate travel arrangements to carry out day to day duties. A collective agreement was signed 3 years ago that included not taking a 1% pay rise, a rise that staff will never get back !! It also included 4 days unpaid leave, which if implemented again, will now have a detrimental effect on the pension provision of staff. By not imposing the unpaid leave, isn’t giving staff a pay rise it is giving them back what is rightful theirs !!! This agreement was signed and reluctantly supported under the proviso that it saved jobs, but we have lost, on headcount basis, 40% of staff since 2010!! During PMQs yesterday, David Cameron stated that wages were rising month on month for last 12 months, faster than inflation – NOT FOR OUR STAFF !! These proposals for consultation also include a potential to lose 85.48 full time equivalent posts alongside the attack on the terms and conditions of staff. The majority of these come at Girtrell Court, through losses in Care Navigation staff and in our libraries. As you are all aware the authority has 3 key themes in its 2020 plan for Wirral, the first being to ‘protect the most vulnerable’. How does removing the facility at Girtrell Court protect the most vulnerable in our society at a relatively small cost saving of £155k a year! The people who use this service will be forced to seek alternative private arrangements. 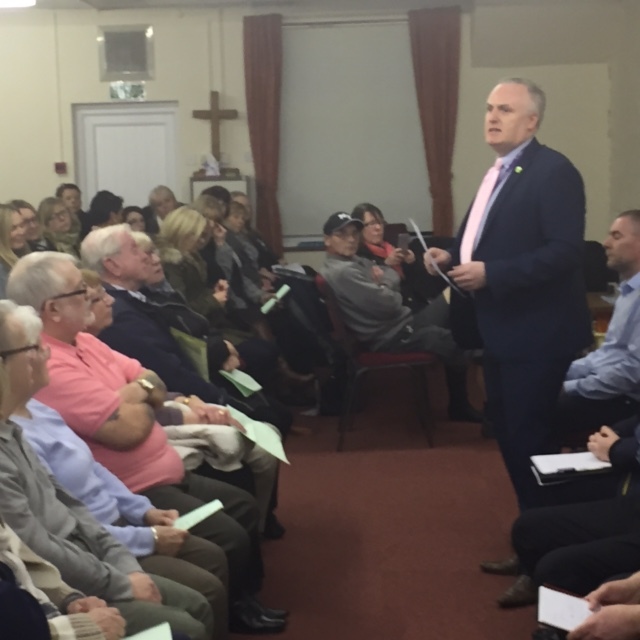 The continuity of provision and dedication by the staff to these people will be lost and the families, friends and carers will be faced with a very uncertain, difficult and challenging few months, on top of the issues they face on a day to day basis. Forcing more vulnerable, frail and ill members of the public to self asses by reducing the amount of Care Navigator’s roles once again flies in the face of key themes of the 2020 plan. 40% of the people in Wirral do not have access to a home PC or laptop, figures taken from this report, and I would envisage the majority of these are those that will been asked to self-assess !! It just doesn’t make sense!! Does pushing 12 libraries into voluntary/community led ownership increase the provision for those that actually need the service in the most deprived areas or does it simply increase the provision in our more affluent areas that have strong volunteer groups? Will allowing leisure centres to be run by the community actually work or again will this service have to come back under the council umbrella? A lot of assumptions have been made in these proposals, like the fact schools and landlords would pay for community safety provision when they themselves are cutting their cloth. We will be asked to provide alternatives, and dare I say it, an example would be the reduction in Councillors from 66 to 44 which would save around £300k and could well save a provision like Girtrell Court. Nobody, least of all me, is burying their head in the sand about the challenging times we face. We do face horrendous cuts imposed on us by the Conservative Government, but this is a Labour led authority in a borough with 4 Labour MPs, all accountable the constituents of Wirral. We as a union, along with our friends at UNITE are pleading with Cabinet to look after the vulnerable and to look after the staff of Wirral. UNISON met with the Council Leadership earlier this week to discuss the budget for 2016/17. Your UNISON Branch Secretary, Paddy Cleary, had previously made clear to the Council that staff had already made a major contribution to savings in previous years. We have seen significant job losses and cuts to our terms and conditions over the past 3 years, including a 4 day pay cut for all staff. Despite this, the Council has again tabled options for further attacks on the jobs and living standards of UNISON members. UNISON believes that the threat to force further pay cuts on our members is not acceptable. Formal consultation on the proposals will begin on 18th December and run through to mid-February. We need to use this time to convince the Council that UNISON members will not stand for further job losses and pay cuts. at 5.30pm on Thursday, 17 December 2015. We call on every UNISON member to attend. UNISON supports the opportunity for council staff to purchase goods through the introduction of the salary sacrifice scheme. UNISON acknowledges that the scheme gives all staff, especially those with a poor credit rating and people on low income, the chance to purchase high value goods over a period of time. UNISON appreciates that savings made by the council could help in future budget options. However, UNISON would encourage staff to read the fine print as these schemes can have a detrimental effect on your career average pension, as well as other benefit entitlements that are based on your gross pay, actual income or national insurance contributions. Despite continued opposition dating back to December 2012, when Joe Taylor was Branch Secretary, Council resolved, on 12 October, that changes to the Disciplinary Policy and Procedure are approved. UNISON had been asked to confirm their position on the revised policy in June 2015 by HR. The position was clear in relation to appeals on dismissal being heard by a panel of Councillors as opposed to other Senior Management. Figures produced indicated that appeals upheld where broadly the same whether heard by Councillors or by Senior Management. Far from questioning the integrity of senior management UNISON’s view was Councillors provided a more independent element on appeal against dismissal. UNISON wrote to all Labour Councillors, again to all Members of the Transformation & Resources Policy and Performance Committee, raised it at the Leader meetings and even wrote again to all 66 Councillors, but to no avail. UNISON will continue to monitor outcomes of these appeals, and objections have been noted. In March 2015 HR advised that in 2013/14 sickness absence figures averaged 10.55 days per person, costing the authority approximately £3.5m per annum. HR stated that options needed to be considered. UNISON stated this could be due to additional workloads, changes in the workplace, lack of communication, increase in stress levels, staff feeling disheartened and undervalued as asked to do more for less. At further meetings in June 2015 HR stated the current policy was not fit for purpose. UNISON outlined that policy needed to be applied correctly and consistently across the authority. If this was undertaken then no changes would be needed. HR held manager briefings with effect from 6 July 2015 to highlight issues with policy and days lost. Subsequent objections were made by some branch officers and this was reported back to HR with UNISON confirming it did not agree to changes in policy. Ahead of the full council meeting in October 2015, UNISON wrote to all councillors requesting that the policy remain unchanged. UNISON stated its strong objection and highlighted a paragraph in the report that stated ‘Absence data provided by North West Employers shows that Wirral Councils performance in comparison to that of other North West authorities has improved’. UNISON therefore requested no changes to policy. Full council meeting approved the revised policy. Members face the real possibility of a further attack on terms and conditions and the assumption that more services will be provided by alternate delivery models. Staff should note that since 2010 the council has lost 40% in staff headcount numbers, in the financial years 2013-14 and 2014-15 ONLY TWELVE staff earning over £40,000 left the authority!! !